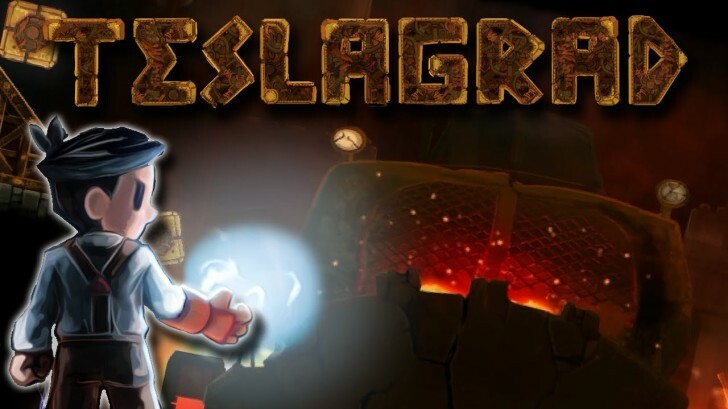 After making stops on nearly every other current platform, Teslagrad by Rain Games finally arrives on the Xbox One. “Metroidvania” style gameplay and hand drawn graphics make the game a pleasure to both look at and play. Old school gamers will appreciate that this game does not hold your hand; it’s up to you to explore and to get creative when you hit a roadblock. The game has obvious areas to explore and very subtle ones that are easily overlooked. If you are like me, you may find yourself searching for a video guide sooner rather than later. But enough about me, is Teslagrad with the price of admission for you? The game begins with your father holding you as a baby while walking home, a seamless transition then unfolds from menu selection to game. As you arrive home your father hands you off to your mother and leaves with a mysterious staff, to where we don’t yet know. Years pass by and your town is suddenly invaded by mysterious red soldiers. They barge into your home and your mother has no choice but to usher you out the backdoor as you take control and run away across the rooftops. The boy finally evades his pursuers by jumping onto a rising drawbridge and into what seems to be an eerie castle. As you explore you acquire magnetic powers that allow you to change polarity of objects and briefly teleport, among other things. Your powers are used to solve puzzles and get you to new areas. For example, charging a platform red when its sitting on another red platform will cause it to shoot off like a hoverboard to an otherwise unreachable area. Using positive and negative charges is at the heart of the puzzle solving in Teslagrad. I found this concept to be pretty unique and the puzzles to be sometimes challenging but always enjoyable. As you progress through the game the story sequences are played out by puppet shows in special theater rooms. These puppet shows give the player insight into what has happened in your kingdom in the past and what’s happening currently. In addition to those there are 36 collectable scrolls that give story clues through the artwork found inside. I really liked how an achievement was earned after finding each scroll, it really kept me motivated to find as many as possible. With no narrator or voice acting, Teslagrad leaves a lot of the story interpretation up to the player. I greatly enjoyed this method of storytelling, I found myself much more engaged to the theater sequences than I would a typical voiced cutscene. Hopefully by the end of the game you will escape safely and maybe even find out what happened to your father. Rain Games deserves a lot of credit for creating a heartfelt story with no dialogue whatsoever. One thing a platformer game has to have is good controls and thankfully Teslagrad delivers in this area. Controlling the main character is fluid and I never became frustrated with the platforming due to the controls. If I could change one thing I would add a little more weight to the main character as he feels very slightly “floaty” to me. Throughout Teslagrad you will find yourself jumping from area to area, dashing through gates, and punching specific blocks and walls to change their polarity. Another unique element to the game is that there is no combat. As the player you are forced to evade enemies and sometimes you can use the environment and your polarity skills to dispose of them. There are bossfights however, they can be challenging but nothing that can’t be overcome with practice. It’s worth noting that if you take even one hit of damage, you will die. Thankfully there’s not much penalty for dying, as you will just start back at the beginning of the room you were in. I didn’t mind this because there are plenty of areas where you need perfect execution or you constantly need to restart. There would be nothing more frustrating than to have to backtrack every time you died. When you finally complete a difficult area or bossfight, it feels very satisfying. Players may even find themselves starting the story a second time and seeing how fast they can complete the game. The one area that most people will notice in Teslagrad is the graphics. Gorgeous hand-drawn characters set in a steampunk inspired world are simple yet beautiful. The environments range from urban to lush floral to dank, drippy and cavernous. Everything ran smoothly during my playthrough, no stutters or even load times between rooms. The music and sound are well done but nothing astonishing. Different areas have various types of music; from whimsical and upbeat to slower and more emphatic. Nearing electric barriers makes for a great static noise and punching polarity blocks creates a gratifying thud. The combination of graphics, sound and music fits together nicely to really flesh out this world. It didn’t take long with Teslagrad to realize that it’s a very high quality independent game; kudos to Rain Games for bringing it to Xbox One. It’s easy to see that a lot of time and care was put into it by people who grew up playing classics such as Super Metroid or Castlevania. What they’ve created in Teslagrad is a game that looks and plays fantastic and still embodies the spirit of games from the late 80s and early 90s. If you enjoy those types of games that don’t hold your hand and reward you for exploring, then I think you will find a lot to like in Teslagrad.